Membership currently available for, -1AR-, -2AR- & 1AR-M.
Immature behaviour will not be tolerated. Must have at least one Tier 8 vehicle. Active in game at least 3-4 days a week. Usage of the clan forums and TeamSpeak is MANDATORY. This clan is for active players willing to do strongholds and tier 8 clan wars. Our feeder clan for -1AR-. For players whose highest tank is Tier 6-7. Must be active in game at least 1-2 days a week. Usage of the clan forums and TeamSpeak is required. To apply, please register at our clan website (http://www.clan1ar.com) and fill in an application form. A senior officer will attend to your application promptly. Please note that registering on the website, but not completing an application, does not constitute an application (a common mistake). Any queries, please contact our Commander. Edited by wasaabi, 02 June 2017 - 07:02 PM. Edited by GeneralGrant, 26 December 2013 - 09:16 AM. There are two threads? Where's the other one? Merry Christmas, especially if you live in the Western hemisphere. Those who persist in hating artillery only have themselves to blame when they eat CGC fire. In Himmelsdorf. Thanks guys, and Merry Christmas / happy Boxing Day / whatever works for you ( ), to you too. Re the two threads comment, this thread replaces our old recruitment thread. I have requested the mods to lock our old one. Edited by GeneralGrant, 26 December 2013 - 10:09 AM. 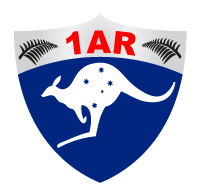 Should AR have specific nationality criteria to join? Just wondering. We don't have any specific nationality criteria to join. However, due to the times at which we play clan wars and our association with Australian military, most of our members tend to be Australian. 2AR: that's another unit, and brand...(and thus nothing to do with us ). DEATH TO THE FECKIN' PONIES! Woohooo...made it onto the front page! On a hot and humid evening I hereby bump thee. Edited by Digger, 28 December 2013 - 03:39 PM. [YOLO] SWAG is recruiting! PM me now!!! Feeling so much better now that I have my 1AR tags back. Makes me feel part of something so much bigger.